Pest description and damage Several species of leafhopper may attack ornamental plants. Leafhoppers are slender, delicate sucking insects about 0.125 inch or less in length. They are distinguished by the adult hopping or flying to escape danger, and by the ability of nymphs and adults to run forwards, backwards, or sideways easily. Leafhopper feeding damage to leaves includes small white to yellow stipples, yellowing, or leaf curling. 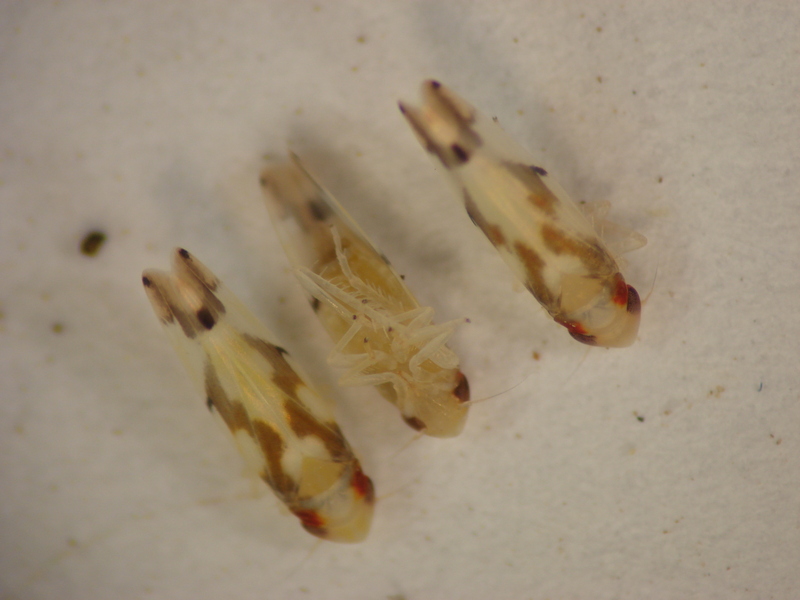 Some leafhoppers transmit virus diseases. 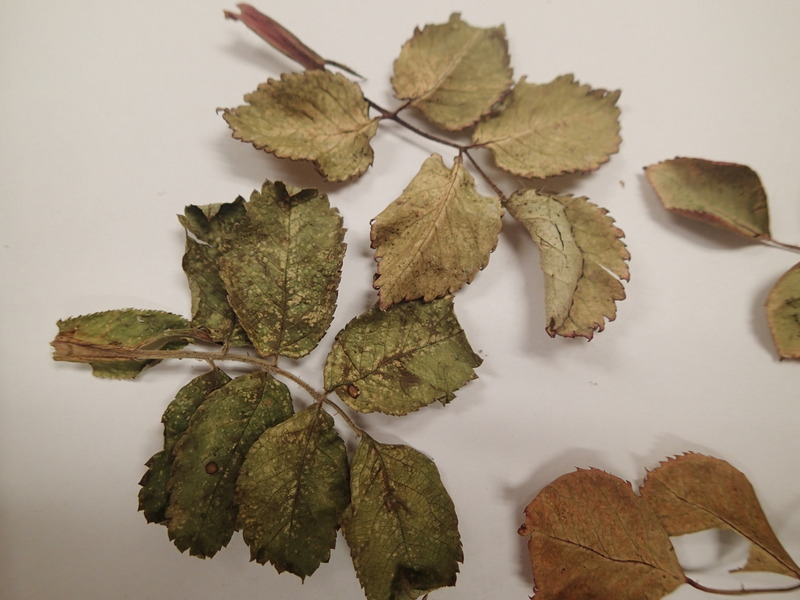 Sometimes the tips of host plant leaves die and turn brown. Leafhoppers often exude copious amounts of honeydew. Commonly attacked ornamental plants include aster, calendula, gladiolus, dahlia, hollyhock, marigold, rhododendron, rose, and zinnia. Small amounts of stippling are not injurious to the plants. Biology and life history Varies with the species. 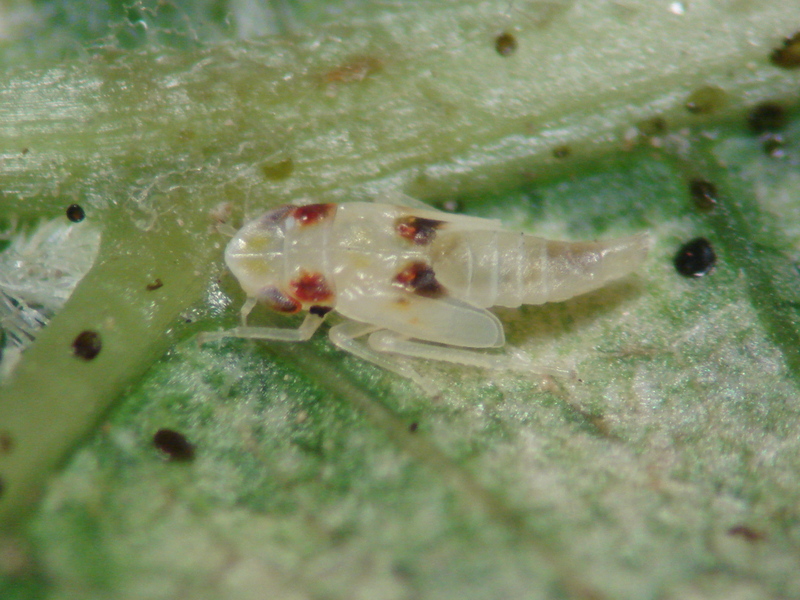 Leafhoppers may overwinter as adults, nymphs, or eggs. There may be two or three generations per year. Pest monitoring Yellow sticky cards or double-sided tape wrapped around small branches or twigs can be used to monitor for leafhoppers. Row cover fabric in early summer can be used to exclude leafhoppers from small shrubs. Yellow sticky traps are attractive to, and entangle, leafhoppers and other insect pests. Leafhoppers have many natural enemies, including lady beetles, lacewings, damsel bugs, and spiders. They are also subject to diseases and parasites that keep their numbers low under most circumstances.